DocuForm’s POD-2010 Patient History Form is easy to fill out. In most cases you can simply check off the pertinent information. The comprehensive history gathered on this form will allow you to bill for even the highest level E&M code (in any setting) when justified. 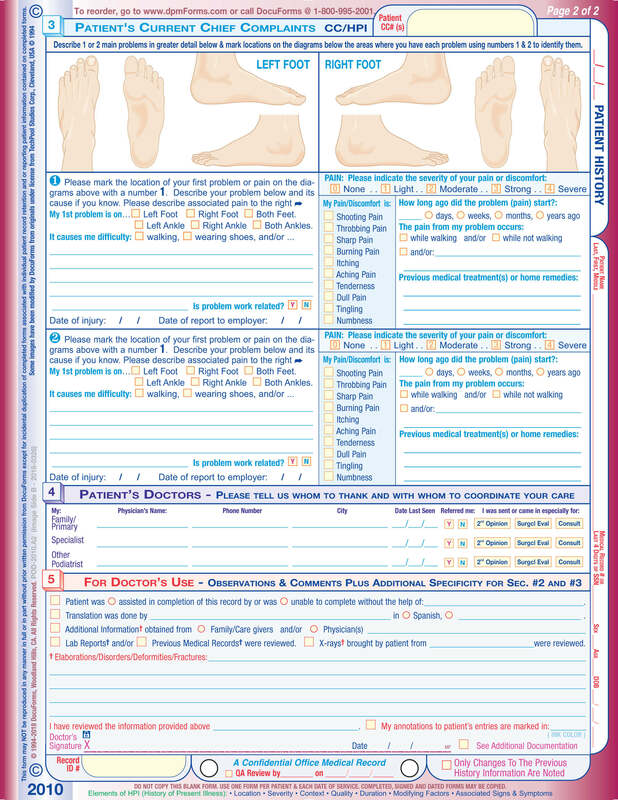 DocuForms’ POD-2010 Podiatric Patient History form is easy for your patient to complete. 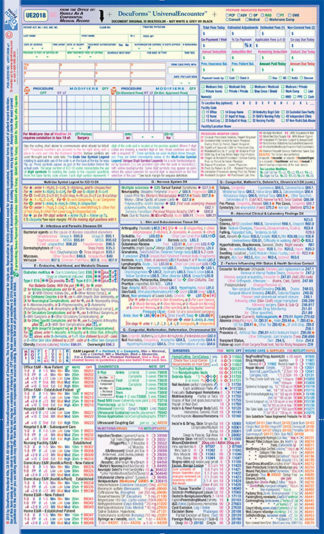 It’s crisp and clean, easy to read and well organized — it doesn’t;t ask for redundant information. 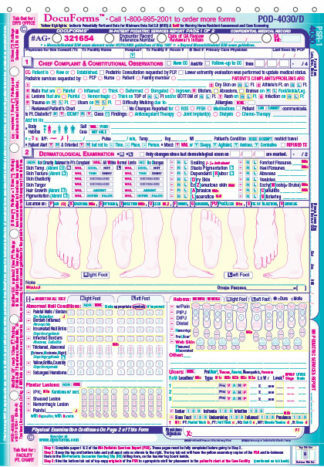 Patients often find themselves filling out plain, poorly organized, photocopied intake forms. 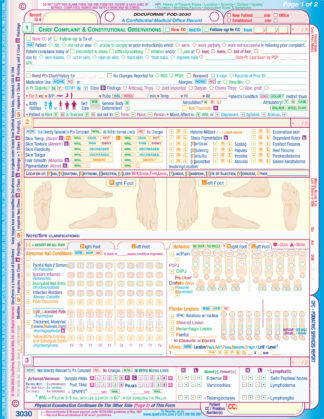 With the POD-2010 your new patients will be impressed with the professionalism of your practice. 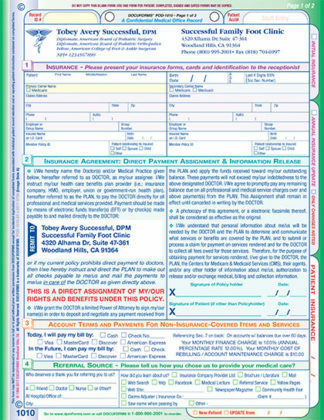 When you look at the enlargement of the form, you’ll be impressed by how simple and well-designed it is. 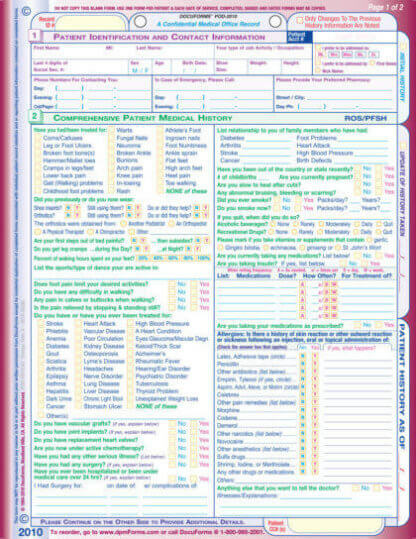 Your patients won’t have a lot to write with this form. In most cases they can just check of the pertinent information. 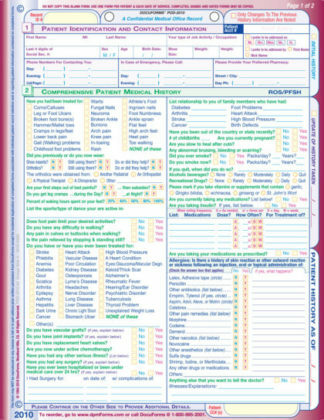 This becomes important when you have a patient who needs assistance with filling out this form, since your staff won’t have to devote as much valuable time helping them. The comprehensive history gathered on this form will allow you to bill for even the highest level E&M code (in any setting) when the code is justified.